Together, Animal Emergency Care and Perth Vet Specialists operate a blood bank so that we have donated blood available when sick or injured dogs and cats need a transfusion. It is made possible by the wonderful pets and their owners that volunteer to be blood donors. Below, you can meet and learn more about our very special donor heroes! 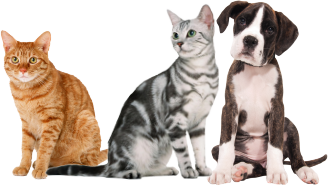 At least 25kg bodyweight (and not overweight) for dogs; healthy young large cats over 5kg. If your dog or cat meets all of these requirements then they are half way to becoming one of our DONOR HEROES. All new donors undergo a screening process of a full physical exam and blood tests. Once they have joined our donor list, blood can be given as often as every 3 months. Collection takes 10-15 minutes but most patients stay in the hospital for 2-3 hours.